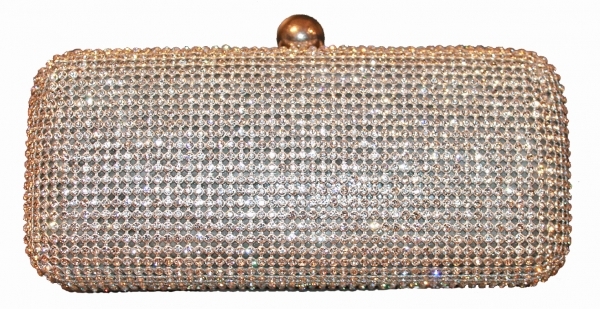 A beautiful clutch box bag with sparkling crystals all over the bag. The crystals are NOT clawed onto the bag so the bag will not catch on your clothes! Satin lining, silver metal chain included inside the bag.